If you are a fan of fantastic beasts, then you might understand how appropriate it can be to compare Jewish communities to the incredible Phoenix bird, which is consumed by flames at its death only to be reborn in its ashes. 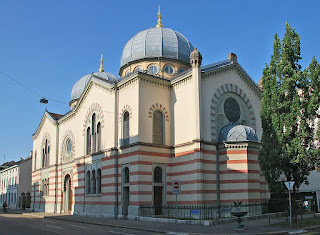 Take, for instance, the Jewish community of Basel, Switzerland, which is best known among modern Jewish historians for Theodor Herzl's personal note: "I have founded the Jewish state in Basel." Herzl was only a visitor to Basel, where he attend the first Zionist Congress, when he penned those words. Jews, however, had resided in Basel since the Middle Ages. The first recorded reference to a Jew dates back to around 1223 C.E. Sadly, as in so many places, the Jews were perceived as outsiders. When the Black Death devastated Europe, the people of Basel blamed the local Jews. Against the wishes of the town council, who tried to control the situation, rioters, led by the artisan guilds, rounded up 600 Jews and, on January 9, 1349, burned them in small huts that had been specifically prepared. There were no survivors. 150 Jewish children were forced to convert to Christianity. The town enacted a 200 year ban on Jewish residency (partially for the Jews’ own protection), but it was rescinded within a decade. There was a second exile in 1543, but it also did not last long. In the late 18th century, reform swept through Europe and, by 1872, Jews had gained full civil rights. 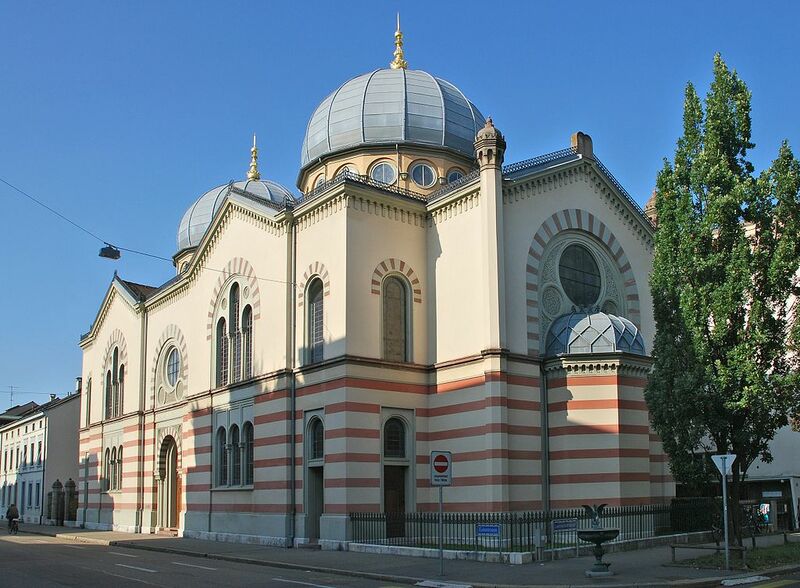 When Herzl arrived in Basel for the first Zionist Congress, he would have seen the beautiful Neo-Byzantine Dome of the Great Synagogue (built in 1868) and would have interacted with an active and seemingly secure Jewish community.